We encourage you to try our products. Once you have seen and touched the products you will know for sure: our products and service are the best! Therefore we offer you the possibility to order some samples of our brands. Samples can also be helpful to get a better idea of the sizing. Add the products that you want to sample to your cart. Complete the checkout to place the order. Complete the payment. We start processing your order as soon as the payment has been received. You can only order samples once. The regular wholesale prices apply as indicated with each product. 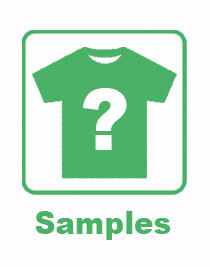 With samples it may occur that we send you different sizes or colors of the products you ordered. We only do this when it better fits the stock availability. For your actual orders we would never do this without your approval. Our terms and conditions apply to this order, with the exception of the order requirements. Some accessories, like most Mery Jane products, are sold in sets. This will also be the case for a sample order. In general our brands sell very fast. This means that by the time you receive the samples the stock for those products might already be gone. So please only use the sample order to get a better impression of the brand style and quality compared to its price and photography. But we recommend you don’t use samples to try out products that you are interested to stock, since that could result in disappointment with regards to availability. Furthermore, the shipping cost will be relatively high for such a small shipment. Large shipments are cheaper per kg.